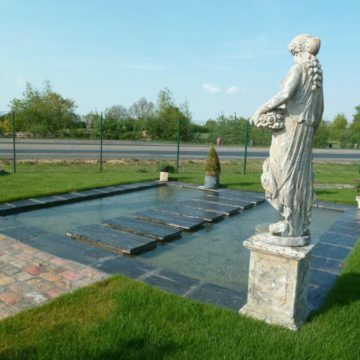 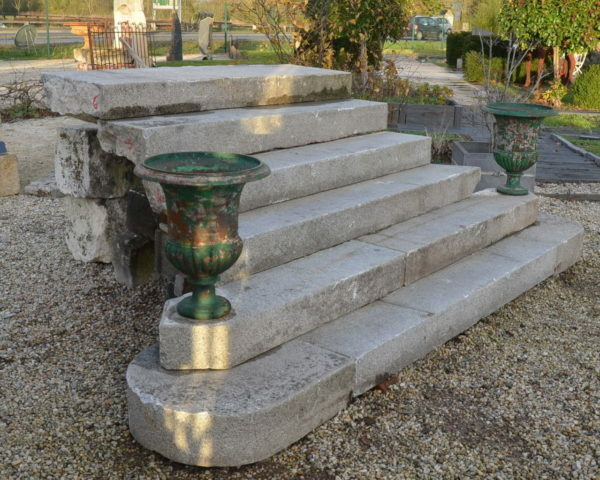 Antique reclaimed grand entrance with 6 steps. 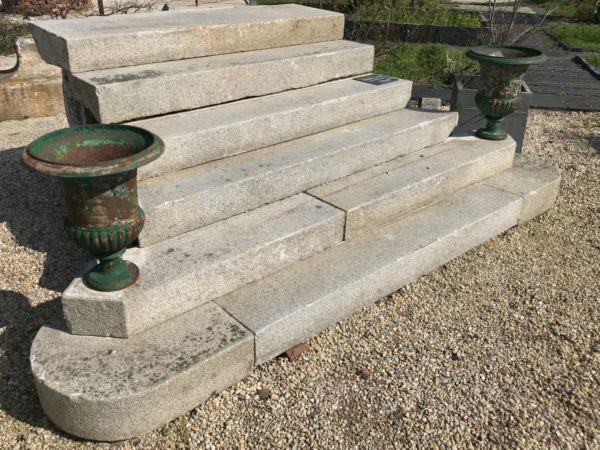 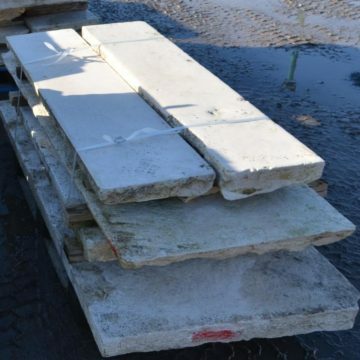 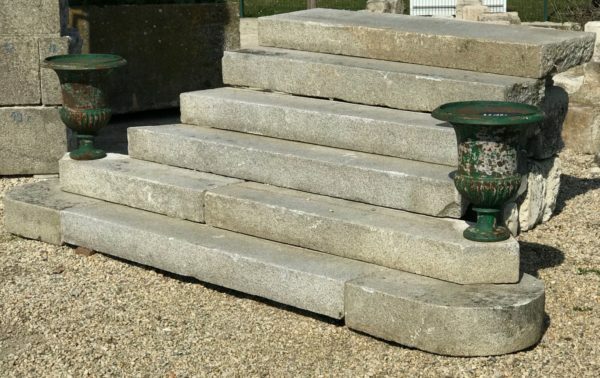 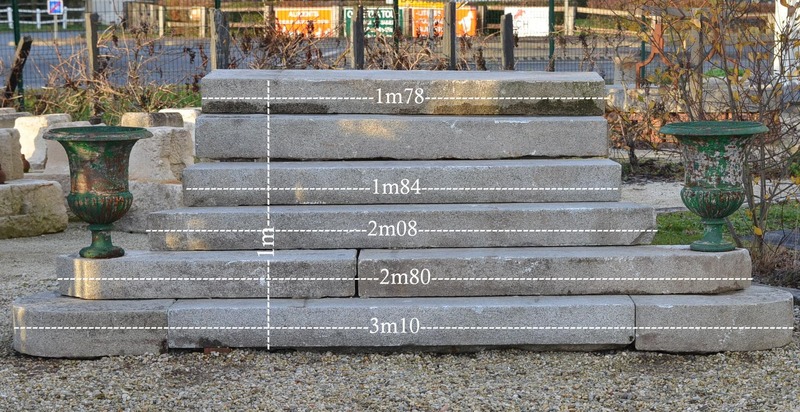 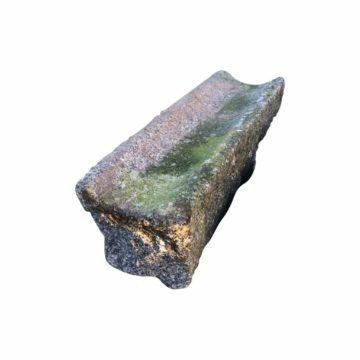 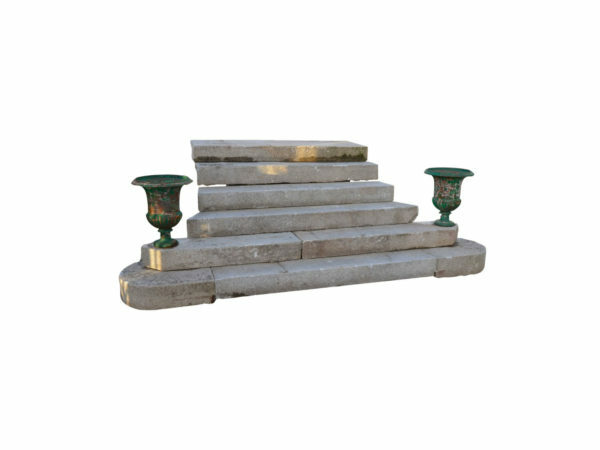 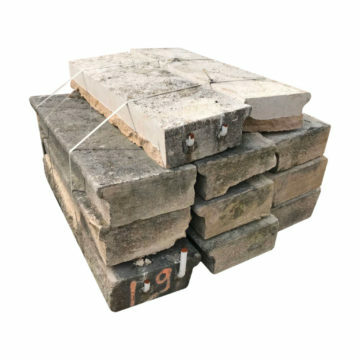 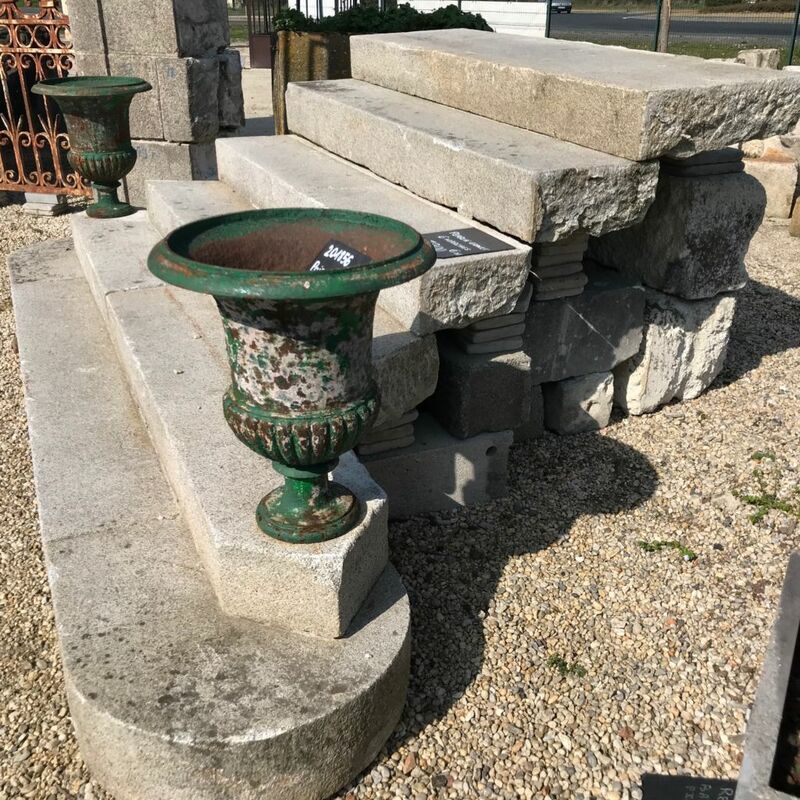 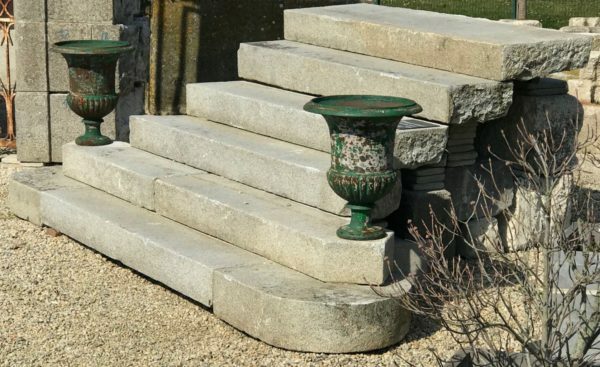 This classic 19th century French granite stairway includes a small top landing (6th step). Overall narrowest width 178cm (at the top).